The delightful thing about a Citroen H van is that it can be put to just about any use at all, just as it was in period. So far, there is hardly a use that we have not been asked to prepare an H van for! So, not surprisingly, we have the knowledge and experience to guide you with your own plans. Whilst we are happy to sell you a basic van to convert as you wish, for those that want a totally finished, fully certified van that is ready to trade, we can do that too. 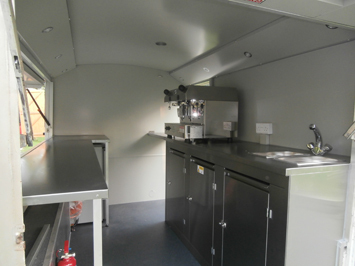 We work closely with expert van conversion specialists who already have experience of fitting out H vans, which not surprisingly, can be slightly different to fitting out brand new vans! 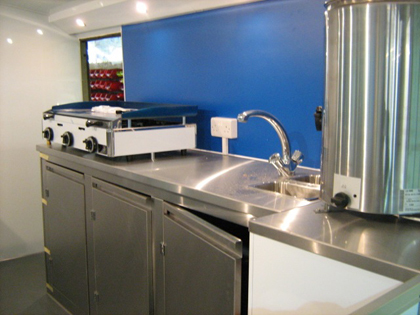 Opening side hatches, counters, non slip flooring, stainless steel cladding and work tops, ovens, coolers, coffee machines, basins, gas, electricity, generators, inverters - you name it, we have fitted it. And if we haven't, we will. 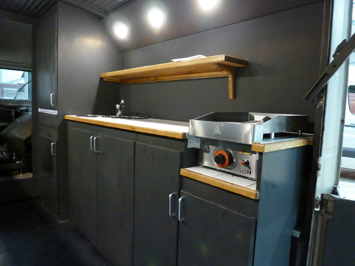 The joy of an H van is that it attracts custom to it - let us attract customers to your product and business.